Allegiance will be shown at 7:30pm on Thursday, Friday, and Saturday, April 5 through 7, at the Ruesch Auditorium at the YMCA of the Rockies in Estes Park. With music and lyrics by Jay Kuo and a book by Marc Acito, Kuo and Lorenzo Thione, the musical focuses on the Kimuras, a family forced to leave their home in Salinas, Calif., and relocate to Heart Mountain Camp in Wyoming. Sam Kimura seeks to prove his patriotism by fighting for his country in the war, but his sister, Kei, fiercely protests the government’s treatment of her people. An uplifting testament to the power of the human spirit, Allegiance follows the Kimuras as they fight between duty and defiance, custom and change, family bonds and forbidden loves. Student participation in this premier production included learning the musical content of the play, as well as the history and significance that encompasses the story. Eagle Rock School students also analyzed the historical content in an attempt to relate to these Japanese survivors. As part of the 10-week class referenced above, all of the students participating in the production completed a character analysis to better understand a favorite character, investigating that character and asking why they made the choices they made. They created a backstory for the character, giving them an emotional arc, and they mapped out with whom that character had a relationship and why. The students also talked with local Asian American and Pacific Islander organizations to learn more about the history and stories of Asian Americans and Pacific Islanders in the United States. They visited University of Northern Colorado to see the traveling “I Want the Wide American Earth” Smithsonian exhibit and met with local community members about the production. The students also talked and worked with internment survivors and participated in a presentation and discussion with them. And, in order to enhance their understanding of theater productions, the students viewed three productions, including one at the high school level, a college production and a professional staged performance at the Denver Center for the Performing Arts complex. Following the April 6 showing of Allegiance, students will host a talk back with the audience. And on Saturday, April 7, they will host an awards ceremony and reception with refreshments to follow. 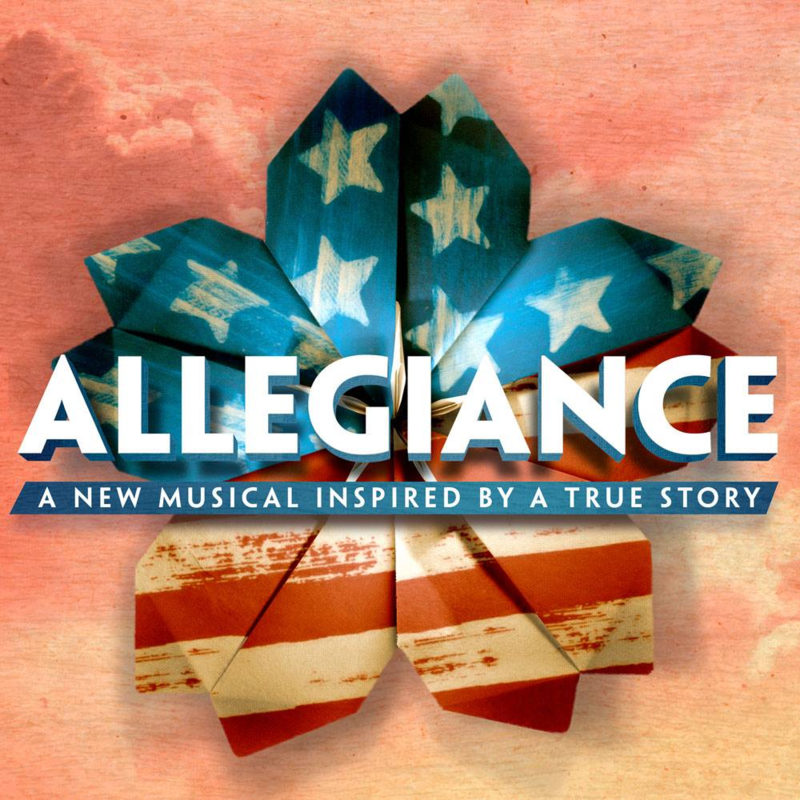 To purchase tickets to see Allegiance in person April 5 through 7 at the Ruesch Auditorium at the YMCA of the Rockies in Estes Park, please contact Eagle Rock Music Instructional Specialist & Spruce House Parent Meg Tokunaga-Scanlon by email using: erstheatre@eaglerockschool.org. This entry was posted in Eagle Rock Events and tagged Allegiance, Denver Center for the Performing Arts, Eagle Rock Theatre, George Takei, Heart Mountain Camp, Jay Kuo, Lorenzo Thione, Marc Acito, Meg Tokunaga-Scanlon, University of Northern Colorado.